Schalk Brits is currently playing some of the best rugby of his career, and if you want to know exactly what drives a man who has brought a new fire to the Vodacom Bulls this season and what his biggest motivator is, well, it’s something you might not expect. 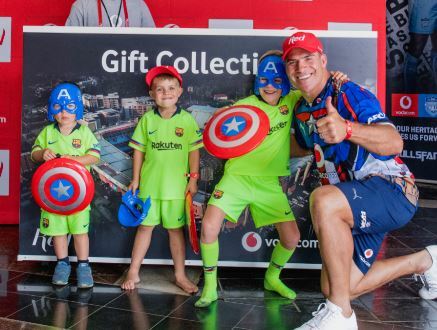 “Love,” says Brits as he sits on the grass at Loftus Versfeld with his three sons clambering all over him during the Vodacom One Father and Son Sleepout this past weekend. His wife Colinda has wisely dressed their sons in a bright yellow kit to help dad keep an eye on them at a day of games and rugby activities for the dads and their lads before they climb into their tents to sleep on the main field of this iconic stadium. And it’s a perfect metaphor for Brits, who is as highly visible in South African rugby as it comes at the moment as he’s helped the Vodacom Bulls make a perfect start to their Vodacom Super Rugby season. “Love motivates me as a player. I’m very people orientated. For me to function as a player, I need love from a coach. I need my coach to actually believe in me and not just worry about my performance, but also worry about my family. “We’ve had a good start and things have gone our way, and we will get better as the season goes on. It’s still a squad that’s only been together for a short amount of time and we’ve achieved above what was expected of us. 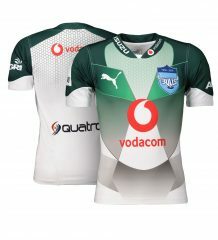 “I’m really loving this phase with the Vodacom Bulls and the new people I’ve met. I’ve been accepted here and they’ve really opened their hearts to me, and I want to make them proud of the way we play. Win or lose, I want the fans here to always feel proud of how we played. It’s a radical new approach to the game. 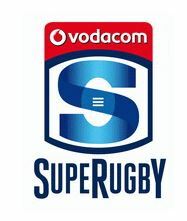 But in a season where the Vodacom Bulls are Captain America of the new Marvel-themed super hero campaign, it is clearly proving to be the most effective super power in the entire competition.